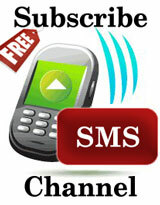 Subscribe to our SMS Channel to receive daily alerts on latest jobs openings. This most famous section is exclusive for Fresher Walk-In and Off-Campus information. Check this section daily. Consists IT jobs for freshers of all qualifications and technologies. Technical and Government & Bank Opening Around the Country. All latest Placement Papers,Resume Writing Tips, Interview Tips, Group Discussion Tips - all that you need to crack any job interview.